THE MORNING PIPELINE ‣ "There is nothing like being left alone again, to walk peacefully with oneself in the woods. To boil one's coffee and fill one's pipe, and to think idly and slowly as one does it." The organ at St. Bart's, 325 Park [51st] is the biggest in the city, with over 12,000 pipes. Over at Smoky Mary's, Church of St. Mary the Virgin, 145 W. 46th [6th/7th], the Aeolian-Skinner Opus 891, installed in 1933, is a favorite among organists. Old-school head shops are becoming a rarity but Bushwick's Sunflower Pipes, 12 Wilson [Flushing Ave./Noll] 347.406.7090, is the real deal. Lots of glass pipes, grinders, vaporizers and paraphernalia. Check out the pipe school on their website, where you can learn the history of pipes as well as how to care for them. Pipers piping: the 17th annual Tartan Day Parade takes place on Saturday, April 9, kicking off at 2pm for its plaid-covered march up Sixth Avenue. Learn cake piping at the SugarRoom in Sunnyside, one session on Saturday, March 12, 10am or on March 19, 4pm. $75. 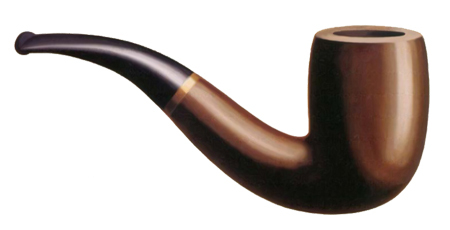 New York Pipe Club's 23rd Annual Pipe Convention happens Saturday, March 12th at the Wyndham Newark. The next regular meeting of the club is Tuesday, March 8th at Soho Cigar Bar, 32 Watts [Thompson/6th]. Expect more water main breaks in the coming years statewide as our aging water pipes give up the ghost. The investment proposed by Governor Cuomo is a start but the State's projections are for $38 billion needed in drinking water investment over the next 20 years. Read Water for Gotham by Gerard T. Koeppel which tells the story of NYC's struggle for clean water. New plays from the Women's Project Theater at The Pipeline Festival, March 24 to April 23, WP Theater, Bway and 76th.